The beauty of wood has always attracted me. I first tried woodturning in 2012 and fell in love with the art – with the process of woodturning, of seeing something take shape under the chisel. Unique grain patterns and naturally occurring colours inspire me to create, using exotic and locally sourced woods. Bowls, bottle stoppers, pens, spinning tops, candle holders… I am constantly challenging myself to try new forms and techniques. 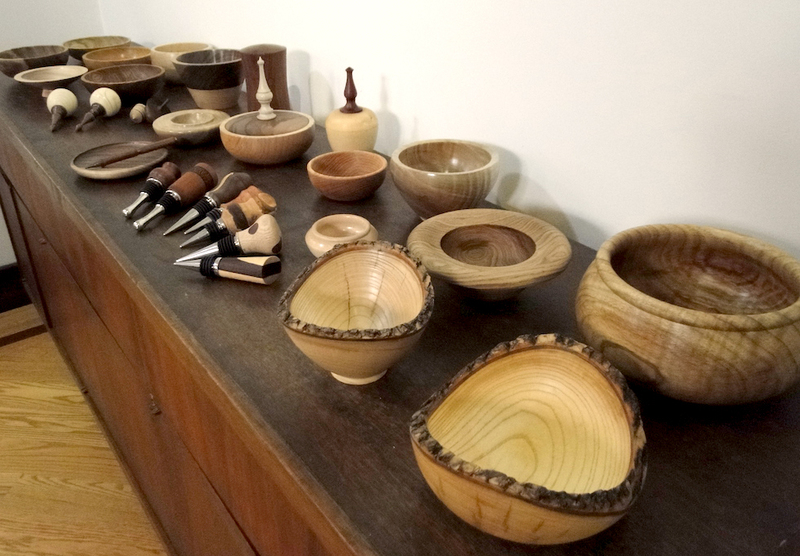 In February 2016, I left my job as a software engineer to focus on woodturning. I have a small workshop in the basement of my home, where I try to spend time every day, learning and developing my skills.